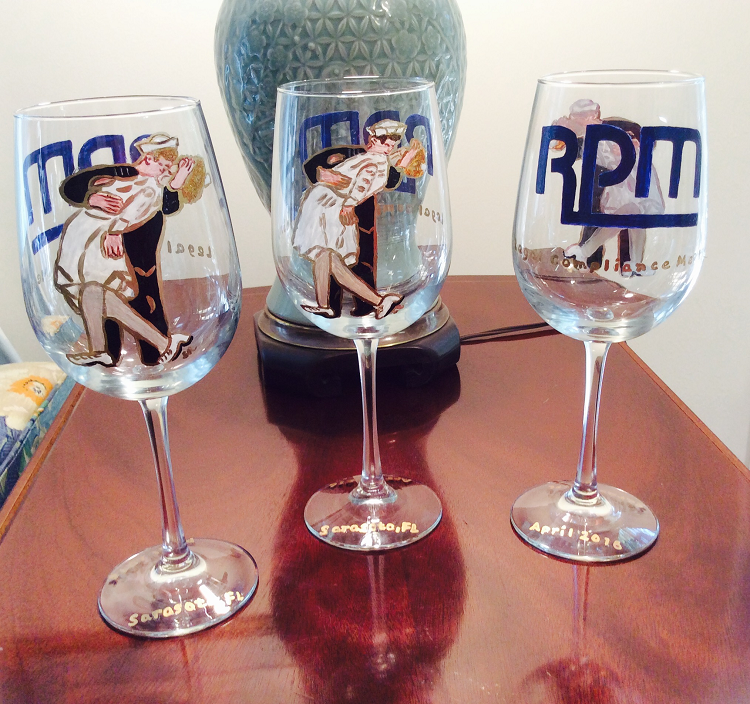 We love to promote your brand and what better way than with hand painted executive corporate gifts. 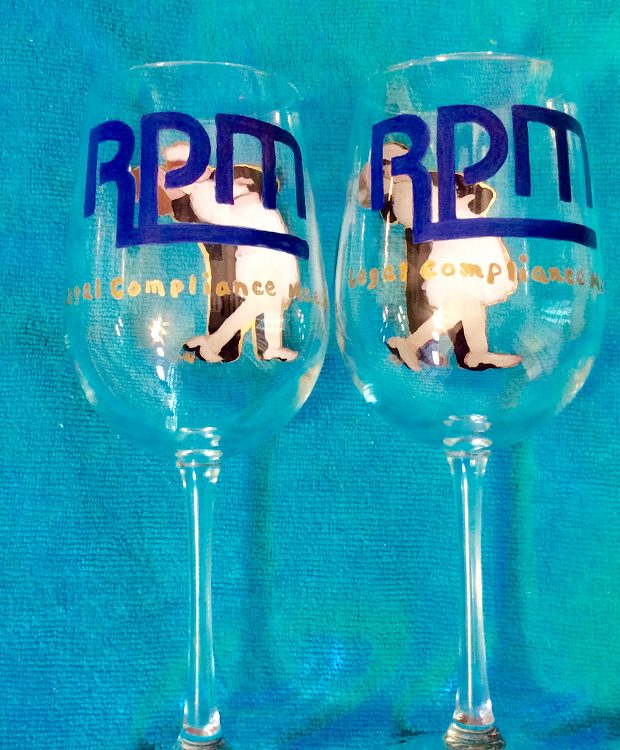 One of our clients RPM Speciality Products Group based in Sarosota, Florida requested 60 wine glasses for a Legal and Compliance meeting that they were having. They wanted to give a promotional gift with their company logo and a design representing the city of Sarosota, Florida. They provided the logo and design and we did the rest. 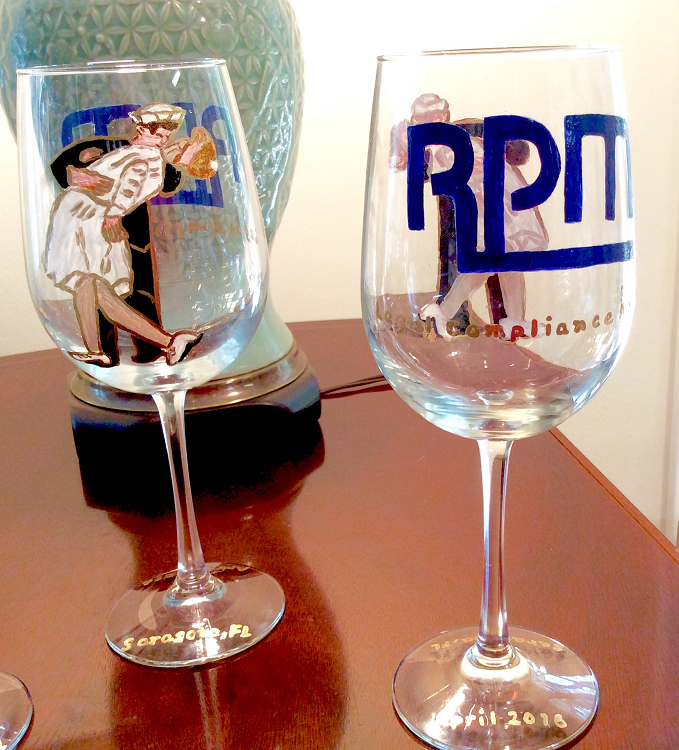 What piece of glassware would you like your company's logo to give as hand painted executive gifts to your business clients or to reward your employees. We offer a large variety from bar glassware, picture frames, commemerative plates and platters, ornaments and so much more.